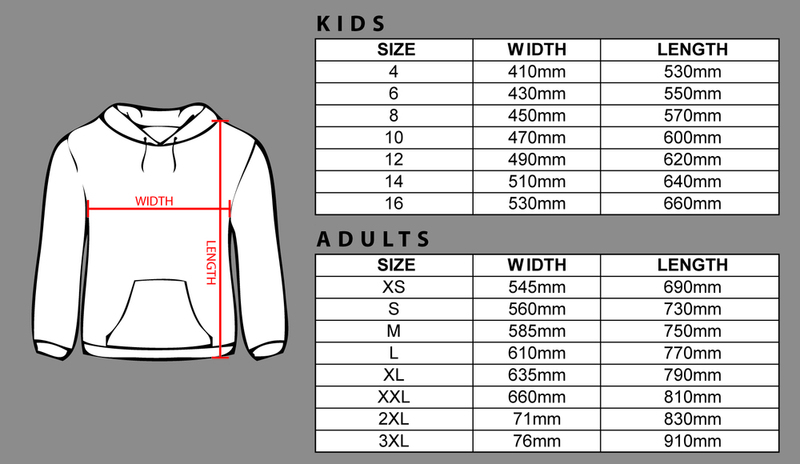 Below you will find sizing guides for playing uniforms, warm up tops and hoodies. to place an order for a hoodie or warm up top write the size and player name (if required) into the addition items section of the order form. To get the best fit compare one of your own tops or pair of shorts with the measurements provided below. To get the best fit compare one of your own tops with the measurements provided below. Keep in mind that your warm up top needs to fit comfortably over your playing top. To get the best fit compare one of your own tops with the measurements provided below.